When commercial office facility managers were polled about the most common restroom complaints, odor problems — particularly urine odor — and visibly dirty floors were in the top five. Knowing the types of occupants who are using the restrooms, and doing a little bit of investigative work can go a long way in preventing and minimizing these problems. Odor problems are the types of complaints that are directly related to cleaning — or, in this case, the lack thereof. “A general odor rule, and it’s been this way for many years, is that a clean restroom doesn’t need odor control,” says Craig Kersemeier, president of K-Tech Kleening Systems in Schofield, Wis.
First, odors need to be identified, and then solutions need to be provided. Most often, restroom odors are caused by urine on the floor or sitting in urinals, and grout that needs to be scrubbed. Some solutions are as simple as putting water in the trap, others might need drip systems in urinals or urinal mats. Other problems require odor eliminators or air fresheners. 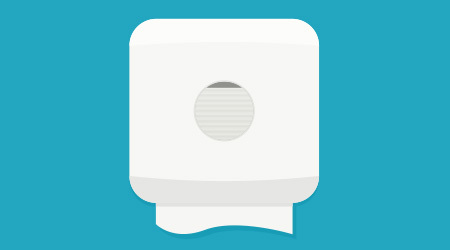 Grout is notorious for hanging onto odors, agrees Cheyne Brokate, vice president of operations at Brokate Janitorial, Springfield, Mo., whose company uses touchless spray-and-vac machines to clean and disinfect restrooms. While deodorizers and scents may smell good to building occupants, they shouldn’t be used to cover up odors, he says. “I’d rather just have a clean, fresh-smelling bathroom that doesn’t have any odors,” Brokate says. However, there are customers who prefer some type of odor control, in which case BSCs can recommend products such as odor neutralizers that won’t irritate allergies of occupants and don’t contribute volatile organic compounds (VOCs) to the air. BSCs agree that this is one issue that, compared to the other top complaints, strictly pertains to cleaning quality. Unless occupants have extremely dirty shoes or are spilling substances on the floors on a regular basis, dirty floors are caused by poor cleaning performance. Porter has found that steam-cleaning restroom floors works very well, as it doesn’t leave a residue of cleaning chemical on the floor, which attracts dirt and debris. “As long as we’re keeping our agreed-upon frequencies, it’s not a problem. Cleaning is the death of grout floors,” Sargent says. Periodical deep-cleaning of restrooms with floor machines is also key to keeping grout and tile looking fresh. Sometimes, the best way to address complaints is to invest in new cleaning equipment and chemicals, fixtures or products. At the end of the day, most complaints stem from mistakes by janitors, errant occupant behavior and miscommunications between BSCs and customers, or customers and occupants. If a customer makes a change or cut in frequencies, ask them to let their tenants know so they aren’t lodging complaints about trash not being picked up if frequencies were cut to three times a week, Kersemeier says. Getting to know customers and being their trusted advisers will put everyone on the same page, and mandating that complaints are handled quickly and correctly by managers and janitors should help ensure minimal problems.